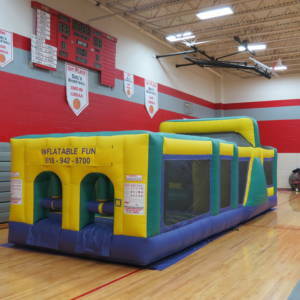 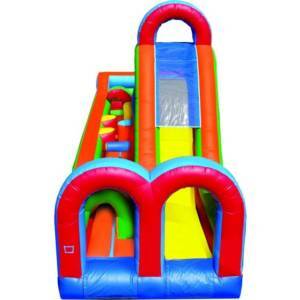 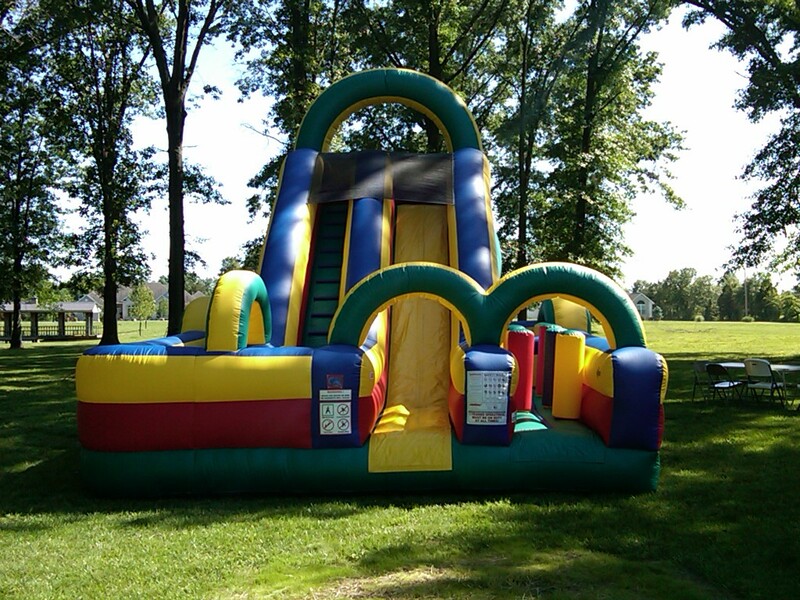 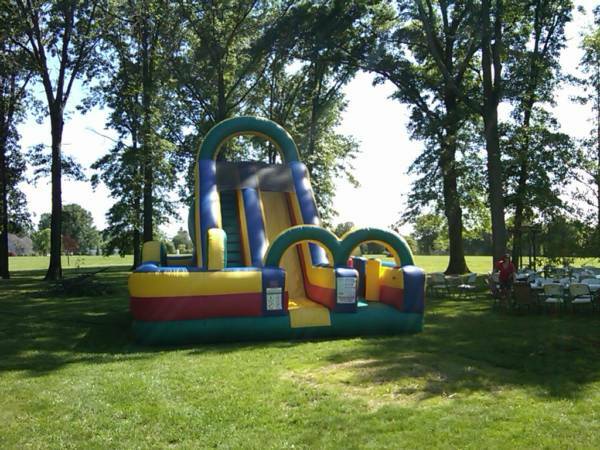 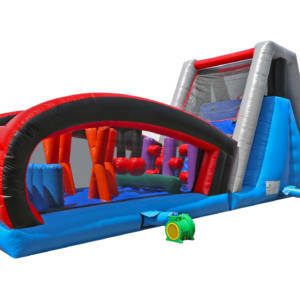 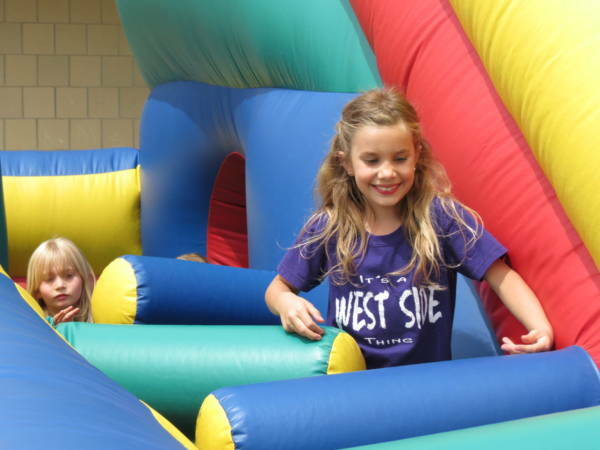 Our 18’ Slide & Obstacle Combo is packed with Kid Pleasing Fun. 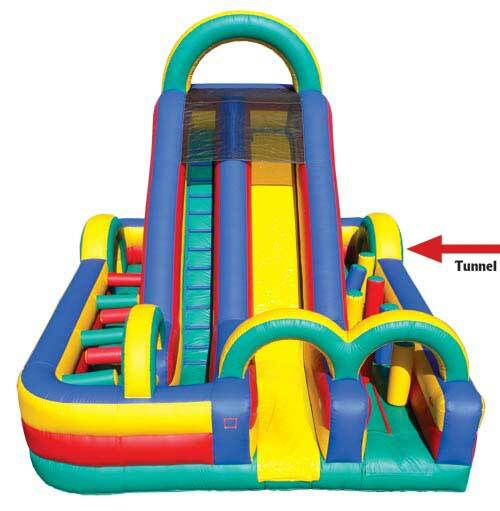 Riders start on one side and navigate through 22 feet of obstacles before turning left and going through the Tunnel in the center of the slide. Once they appear on the other side, they turn left again and go through another 22 feet of obstacles before climbing the 18’ Slide and sliding to the bottom. 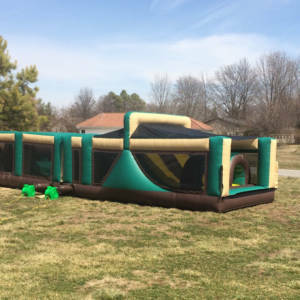 One of our most popular units! Great Fun! 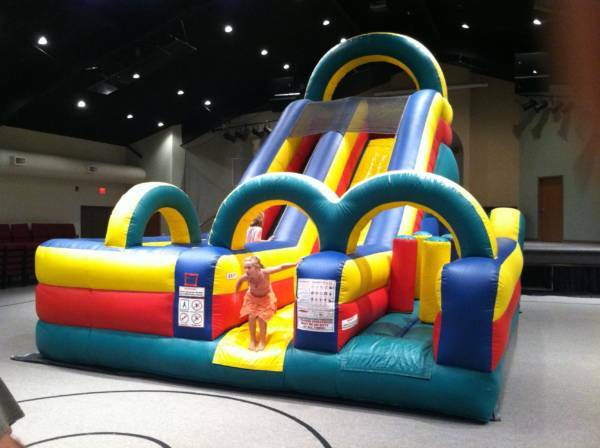 Don’t let the obstacles get in your way!